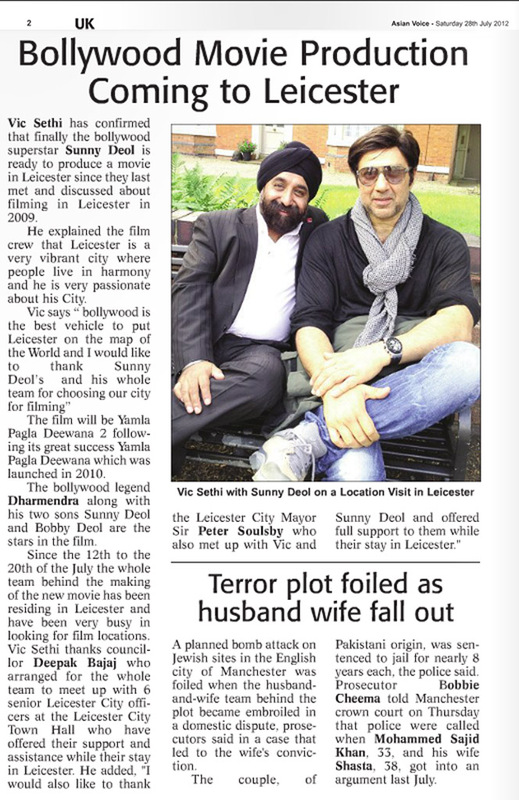 Vic Sethi has confirmed that finally the Bollywood superstar Sunny Deol is ready to produce a movie in Leicester since they last met and discussed about filming in Leicester in 2009. he explained to the film crew that Leicester is a very vibrant city where people live in harmony and he is very passionate about his city. The film will be Yamla Pagla Deewana 2 following its great success Yamla Pagla Deewana which was launched in 2010. The Bollywood legend Dharmendra along with his two sons Sunny Deol and Bobby Deol are the stars of the film.